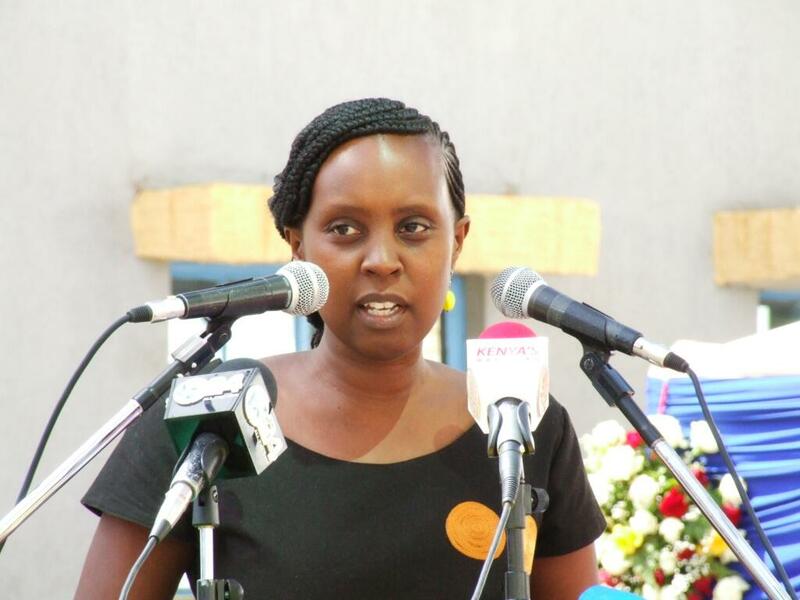 Wandia Njoya teaches Literature and French at Daystar University in Kenya, where she also serves as the Head of Department of Language and Performing Arts. Wandia received her PhD in French from the Pennsylvania State University, and has taught in Kenya, US and France. She has published articles and has presented conference papers in Rwanda, Kenya and the United States on the African literature, culture and politics. She tweets @wmnjoya. I am always humbled to talk about the horror that visited our Rwandan brothers and sisters in April 1994, when families were tortured and wiped out because of the ethnic tag “Tutsi.” No matter how much I read and listen to the testimony of victims of the genocide against the Tutsi, I can never imagine even half the horror they must have felt to see their fellow Rwandans, emptied of their humanity, turn against their neighbors, friends and relatives and deny the humanity of others. We must honor the memory of the victims. We must pray for the survivors who lived through the horror, and pledge to support them and Rwandans in their recovery, in whatever small way we can. And what is our support? But while this commemoration is about Rwandans, I must address the reality that right here and now, I am speaking mostly to Kenyans. And standing here, I am requesting Kenyans, boundaries away from Rwanda, though in the same East African community, to remember what happened in Rwanda, to unite with Rwandans, and to walk with Rwandans as they renew their commitment to humanity, to living together in peace and dignity, and to prosperity. But why must Kenyans remember the genocide against the Tutsi? For me, the answer has always been this simple: what happened in Rwanda, and what was continues to happen to Rwanda, happens because Rwandans are Africans. Rwandans’ fate and tragedy – but also triumph and recovery – are an integral part of the African story. Even though the Rwandan people are unique, with their own culture, history and identity, the political circumstances that incubated the genocide against Tutsis were to be found in many places in the continent. Including here in Kenya. Like many Africans, Rwandans suffered the brutality of colonial rule, first at the hands of the Germans, then at the hands of the Belgians under King Leopold whose ghost continues to haunt Congo. Rwandan men were forced to migrate to countries like Tanzania and Uganda to sell their labor in order to earn money pay hut taxes. Under Belgian rule, Rwandans had to take part in forced labor, often under the humiliation of being whipped like slaves. In a country where land use was already stretched, the Catholic church and colonial government voraciously appropriated land for colonial institutions. And when it came to culture and education, the Belgian government did the unforgiveable: it destroyed the ties within the Rwandan community as its tactic of divide and rule. It then baptized three socio- economic classes, races or ethnic groups, and started to teach Rwandans that they were three different tribes, even though they were one people who spoke one language, believed in one God Imana, and were from the same families and clans. Besides condemning Rwandan culture as barbarian and unchristian, colonialism incorporated the Tutsi elite in implementing the humiliating forced labor and appropriation of land. Worse, given that the Belgians considered labor Rwanda’s only resource, Belgians made little effort in educating the people, and the few education opportunities available were used to favor a few and discriminate against the majority. The very few schools that were ever built were built by mainly by a very conservative Catholic order whose goal was to convert; not to broaden the minds of the African students. Meanwhile, the government’s only interest was in training collaborators from among the Tutsi elite. And then when the wind of change blew across Africa in the late 1950s, the Belgians switched sides, sponsored an ill-thought “revolution” in 1959 that saw the first purge of Tutsis. At independence, Belgium left Rwanda with an ill-educated population, a crowded country with barely any land to live on, with a paranoid and ignorant Hutu regime, poor infrastructure, surrounded by refugees humiliated in Uganda and Congo, basically fermenting in the hatred and poverty that would explode in waves of genocidal violence in 1973, 1990, and eventually 1994. But finally, Rwanda emerged from the ashes of genocide and began to reconstruct itself. And all of a sudden, the very community that looked away as one million people were killed, now wanted to dictate how Rwanda was going to be rebuilt. The Western powers now wanted to offer a blanket amnesty with no trials of the criminals, wanted NGOs to dictate Rwanda’s development agenda, and assigned themselves the role of approving Rwandans’ political choices. But Rwandans have proved resilient and determined to push back, on their own terms, the deliberate underdevelopment of colonial times, and this they have done through universal literacy, health care, a new constitution and a progressive political culture. But Rwanda has gotten this far because she committed herself to remember. By remembering where she came from, the injustice that created the horror of the genocide, Rwandans are able to unite and forge ahead, believing that even though humanity has repeatedly failed to honor the promise “Never again,” a world without genocide is still possible. And we too, as Kenyans, and as human beings, can share that belief, because we too remember. We remember how the Africans were transported into slavery from Fort Jesus, we remember the squatters at the Coast, the kipande system, the hut tax, the colonial jails and the villages during the emergency, and the IDPs of 1992 and 2007. We remember Mekatili wa Menza, Elijah Masinde, Koitalel arap Samoei, Mary Nyanjiru, Syokimau, the Mau Mau movement from Tanzania all the way to Maralal and even with supporters in the United States. When we believed that Wanjiku could get a new constitution, it is because we remembered our brave warriors who fought before us in the 19th century and beyond. We remembered and we believed in a better Kenya. And if there’s anything amazing about our country, it is in the midst of the corruption, inefficiency and selfish leadership, we Kenyans strongly believe that a better Kenya is possible. We believe, because we remember. I do remember, that’s why I believe. Like the song says, we may not understand everything that has happened to us. We may not fully grasp what happened in Rwanda in those dark 100 days of 1994. We can only imagine the pain of Rwandans who lost their families, and the shame of Rwandans who were manipulated to wipe them out. 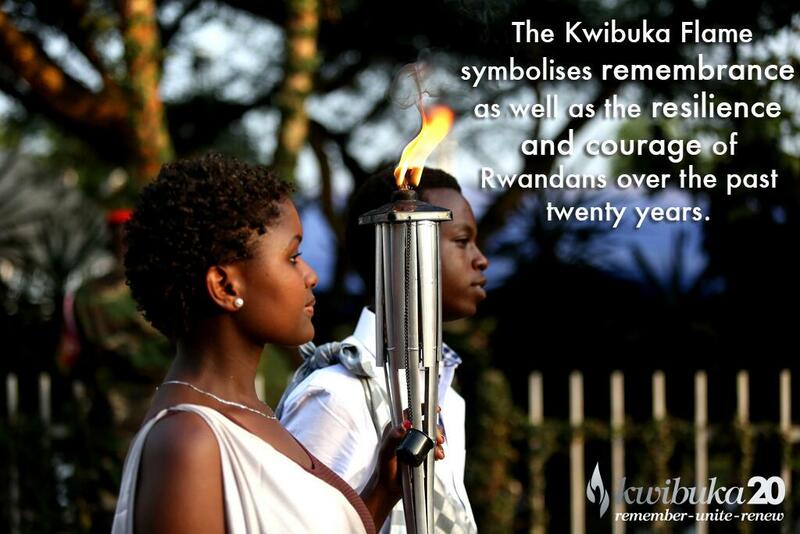 But Rwanda makes us believe that recovery, unity and prosperity are possible for Rwandans, for Africa, and for the world, because it has committed itself to remember through the events such as these, of #Kwibuka20. And when we remember, we believe. What an epic piece. The beauty of remembrance is the strenght we draw from the memories and the lessons we learnt. These help us not only to become better people but also to make us ensure that we leave a better tomorrow for our children. When we remember, we truly believe. Thanks Wandia for sharing so profoundly what has become like a story in history, that’s great insight. It’s a reminder of what can become due to disunity and limited understanding. It takes humanity to appreciate our differences and to embrace them with that understanding. Divide and rule is a killer, and until we realize this, family’s, communities and nations will continue to see their differences rather than their similarities, hence inability to complement each other.